What you find when you go shopping in Centro is in general products of lower quality. It’s perfect for cheap clothes, fishing gear, key rings and so on. The exception is electronics, it’s pretty pricey here since many of the products are imported (the import tax to Brazil is really high), the best deals and selections are here. 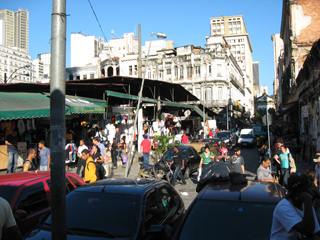 The Uruguaiana Market located in Centro. 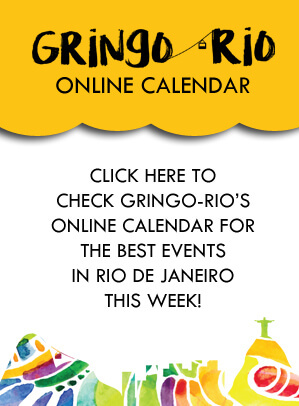 Best is to go by subway, more detailed instructions on how to do that you find on my page Subway in Rio. There are two stations that are of particular interest. At the Metro station Uruguaiana you have a flee market full of everything imaginable, a lot of the products are illegal (like pirate cd’s and all sorts of copies of other items). 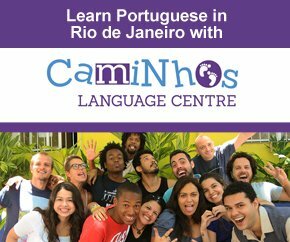 You can also find adapters, flashlights, mp3 players, toys, surf shorts… From there you have three parallell streets (Rua Alfândega, Rua Buenos Aires and Rua Sr. dos Passos) full of little stores selling cheap clothes, perfumes, tobacco, spices, paint, you name it. This area is all called Saara (Sahara in English) from the association of merchants in the area. Go to The Saara Area to find out more about it, there is a list of all the stores, a history section and much more (it’s in Portuguese). Along the street Rua Uruguaiana towards the Metro station Carioca you have several shoe stores. The products of interest around here are mainly musical instruments and computers. Along Rua da Carioca going towards Praça Tiradentes you have several stores selling musical instruments. For computers go to Shopping Avenida Central at Avenida Rio Branco 151 map where you have a whole mall full of stores with computers and their assessories. There is of course more to shopping in Centro than this, these are in my point of view only the highlights.